In this blog we will discuss about how we can analyze the PSSDIAG logs without using SQLnexus tool. In this post I will talk in reference to my blog on troubleshooting high CPU issues. Please make sure you open it while reading this blog because I have followed the same steps to analyze the PSSDIAG. After installing and configuring the PSSDIAG as mentioned in my blog post, here are the next steps we have to follow. Please make sure the cab is saved in some folder because we will have to extract files and it will become easier to manage . Before running the PSSDIAG data collection , we have to make sure that the issue is happening or going to happen and we will have to capture the logs for at least 5-10 minutes “whilst” the issue is happening. It will help us to get enough data for analysis. Once you see the below text in the command prompt , that means now the PSSDIAG collection process has started. 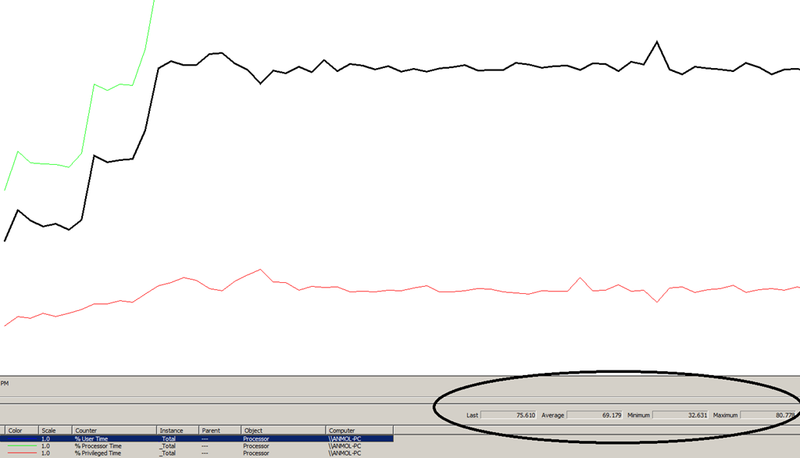 Below is the scenario of high CPU for which I had collected the PSSDIAG logs. 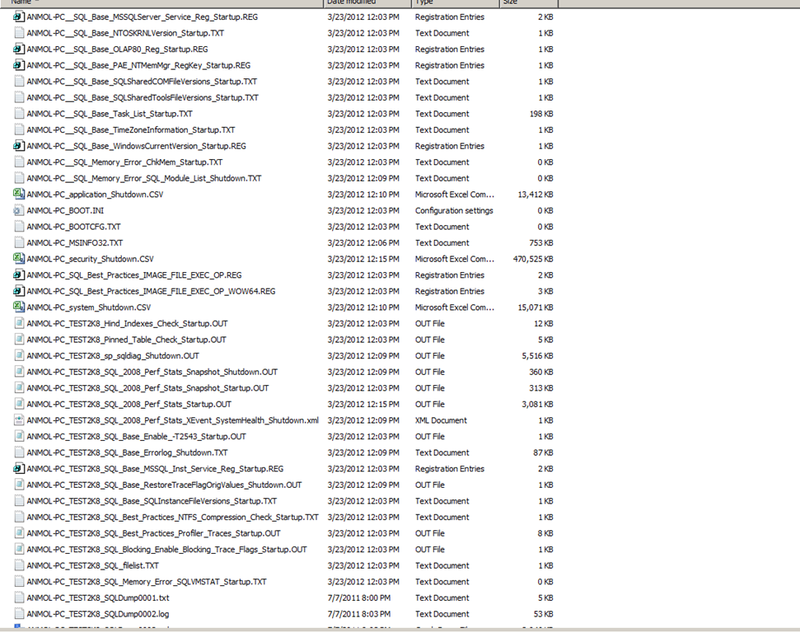 Now lets look at the collected logs in the folder named “output” which will be created in the same location from where pssdiag.cmd was run. 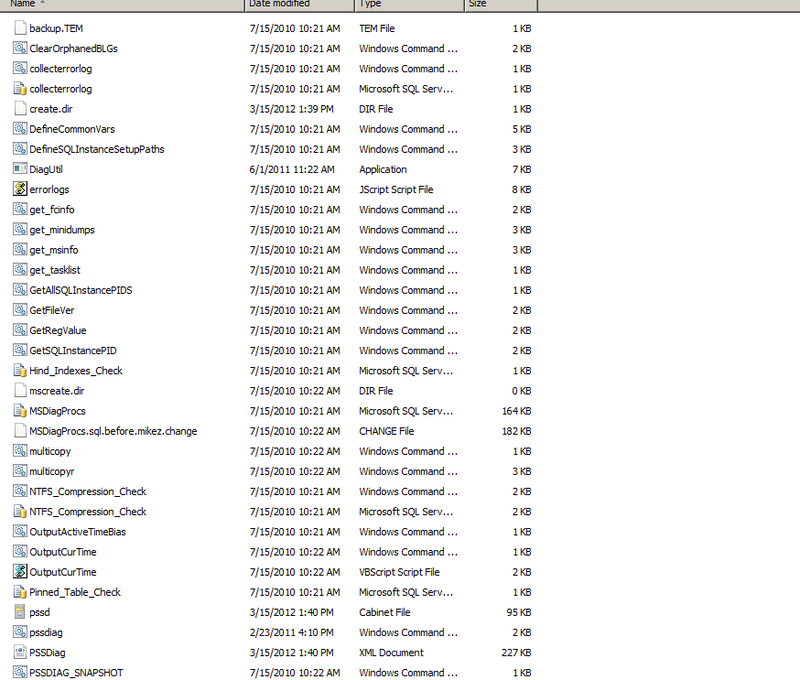 There will be lots of files in the output and I will discuss about the major files which will help us to find out the cause of high CPU. I will follow my blog on troubleshooting high CPU issues step by step to troubleshoot. If it’s user time which is high then find the process which is consuming high CPU. 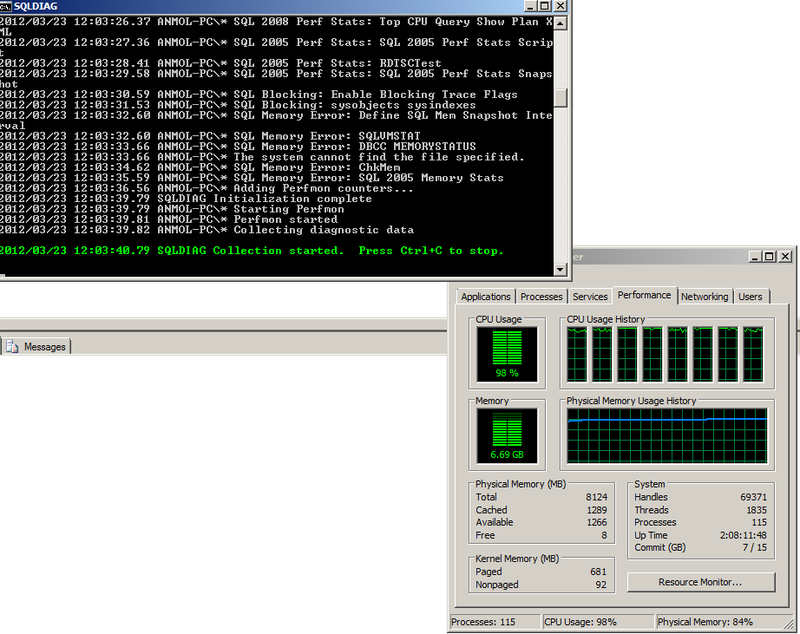 In this case SQL is consuming around 60% of the CPU and rest is consumed by the remaining processes. As SQL is major contributor to the high CPU at the system and is consistently consuming the same amount. Another way to find out how much CPU SQL server is consuming – Open the file(from the output folder) , name ending with SQL_2005_Perf_Stats_Startup.OUT. Step 2. Lets move to the next step of finding the architecture which in our case is x64. 2012-03-23 11:50:55.060 Server (c) 2005 Microsoft Corporation. 3. As we have 8 processors, we don’t need to set any value for this unless required. Step 5: – Run DBCC memorystatus and check for the USERSTORE_TOKENPERM memory clerk. SinglePage Allocator 584 <=very less so no problem here. Step 6: – If the memory consumed by CACHESTORE_SQLCP is high then we check compilations and re-compilations which in our case is not required. But this is just dummy data to show you how it looks like. There will be more columns e.g. short_qry_text which will show you the query for which the parameterization is required. In the above output, we have to look at the plan_count , size and the use counts which will simply mean that the query for which a new plan was created per execution. For more explanation, please check step 6 in troubleshooting high CPU issues. 1. No compilation and re-compilation which means no parameterization issue. 2. No configuration issues at SQL server end. 3. we need to find out a query which might have cause the issue. Please note : – The values are low because I have run small batched to reproduce high CPU. We can tune this query to avoid excessive sorting and which will further help to avoid high CPU issue. I will keep adding more content in this blog as I find more interesting scenario of high CPU. ← SQL server 2005 can’t leverage more than 64 processors. Can it?